Are you ready for a New World of Work? Tab into the power of your flexible workforce. Who has worked for you? How satisfied are you with their work? Are you paying the best rates for them? Are you compliant with company policies, local tax and employment law? 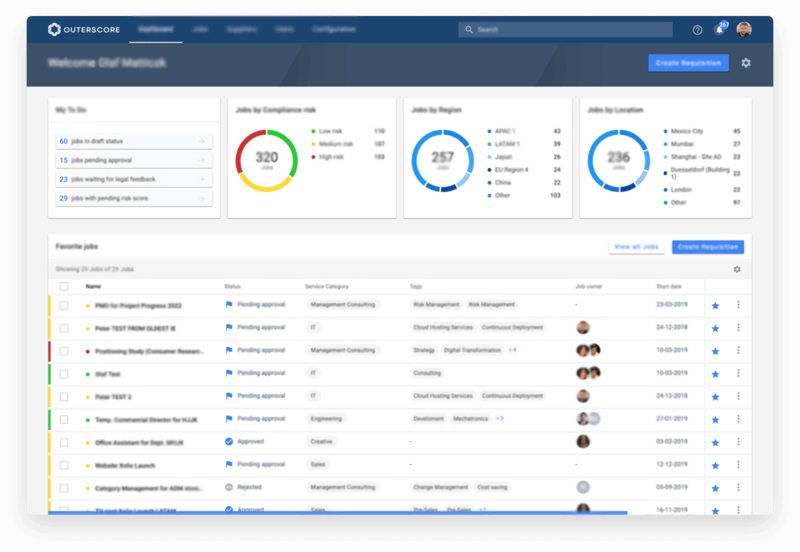 Outerscore offers the most comprehensive compliance management technology for contingent workforce and SOW on the market. Guided buying processes and compliance scores assure that you are in line with your local tax and labor laws. When using contingent workforce or professional service providers it is important to regularly monitor their performance. 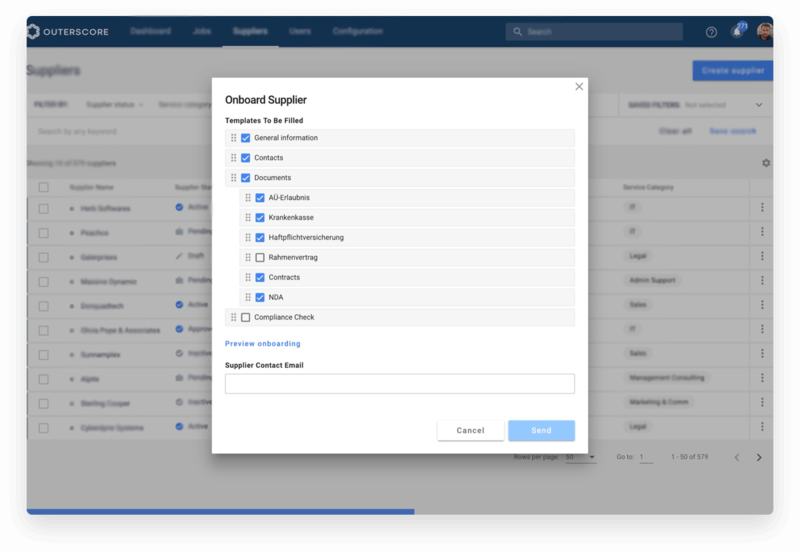 Outerscore offers a revolutionary supplier experience management module to make sure you that get what you paid for. Outerscore features a microservice IT architecture which allows you to adjust the software easily to your individual needs. The software was build with a focus on APIs and uses latest database and search technologies like Elasticsearch. Use an integrated guided buying workflow for your external workforce (Temp, Contingent) and service procurement (SOW). Outerscore calculates risk scores on the details authorities investigate in an audit, including working relationship and contractors’s business structure (self-disclosure). Free yourself from decentralized spreadsheet chaos and transform the way you manage your external partners. Outerscore provides you with a single, centralised home for all data on externals: From temp staff to SOW-based consultants to freelancers, gig workers, contractors and more. 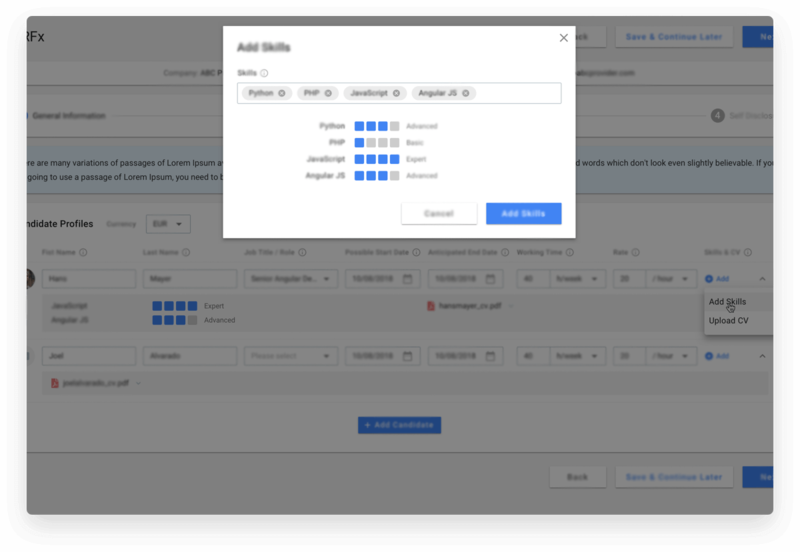 Get a complete, real-time view of who’s working on what, down to skills, cost and quality of work. Automate the entire process of engaging flexible labor and external service providers. 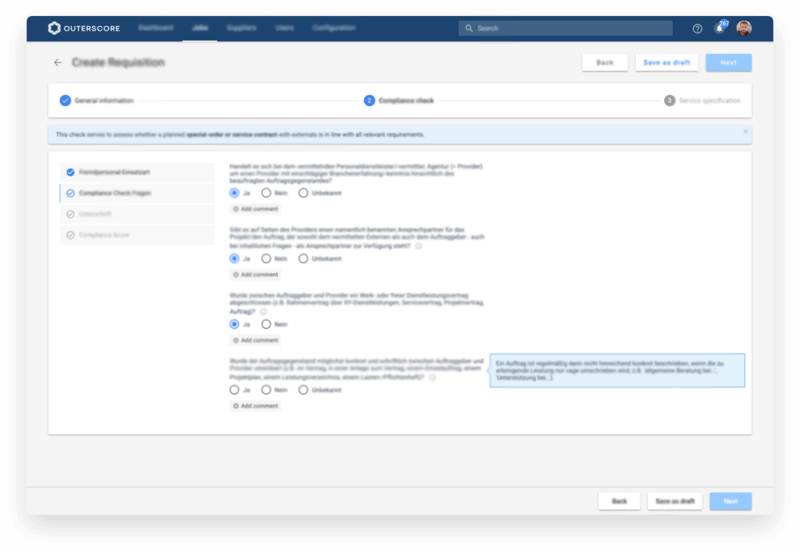 Set-up custom workflows like approval chains, onboarding or RFx and easily route and track tasks. Our platform offers powerful features to get on board the best people for the optimal price. Get a clear top-level view on the cost of various skills and deliverables and drill down into details. Create the basis for cost reduction measures and rate renegotiations. You’ll be surprised to see how easily our software pays for itselve. When using professional service providers or flexible labor it is important to regularly exchange feedback and monitor performance. 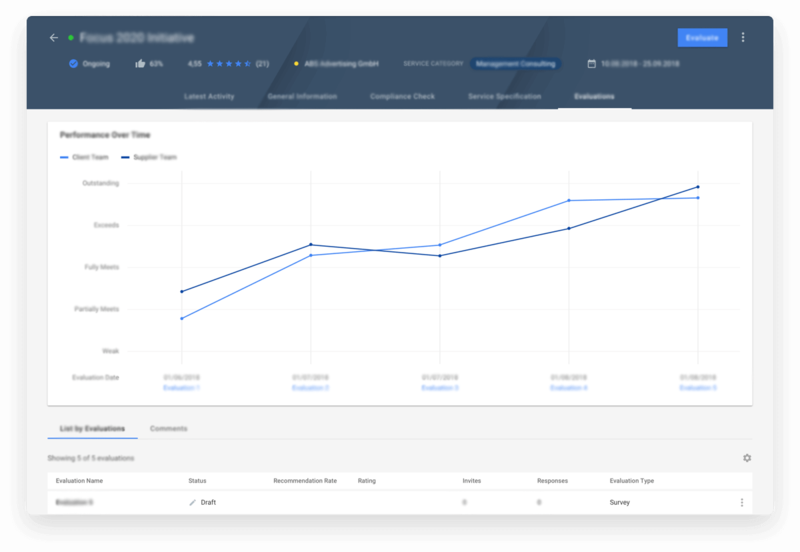 Our supplier experience management module provides you with a revolutionary tool to track performance and improve cooperations. This allows you to respond quickly when early warning signs occur and bring projects back on track.